The Beatles or "The White album" as it became better known, was released on 22nd November, 1968 on the fifth anniversary of their second album. 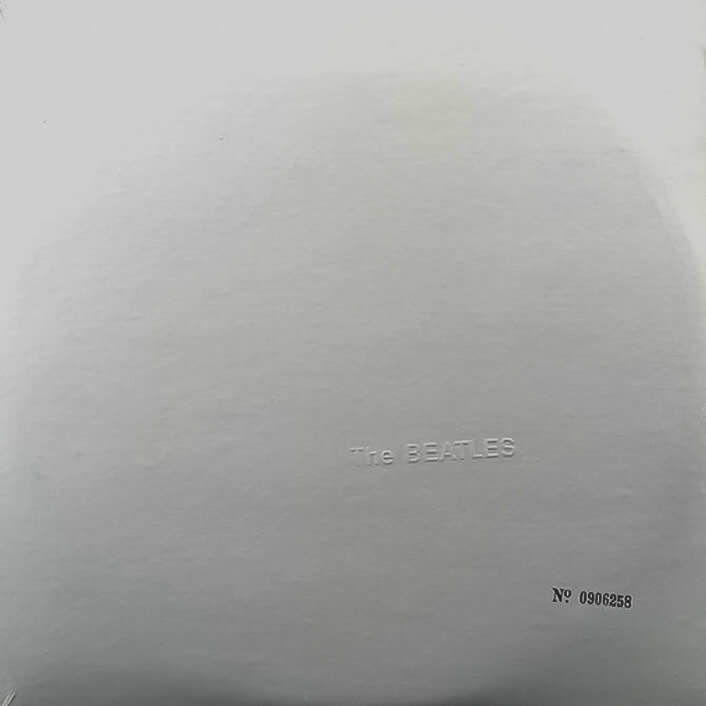 Richard Hamilton – in conjunction with Paul McCartney – to brand each copy with a unique number, thus every edition of "The White Album" – mono or stereo – was limited. Others close to the band were also given low numbers. Producer George Martin got No 0000007 and press officer Derek Taylor No 0000009. No 0000005 – which Lennon gave to a close but as yet unnamed friend – came up for sale in 2008. It fetched almost $30,000.